This is a Procedure Note produced with input from Community Self-Build Scotland. A report on the renewable energy potential of the Acharossan forest site. This is a summary of the second Community Consultation held on behalf of the proposed forest village project, at the Tighnabruaich Hotel on the 19th of October. This is the Summary of the forest Village Consultation held in Kames Village hall on the 17th and 18th of August. 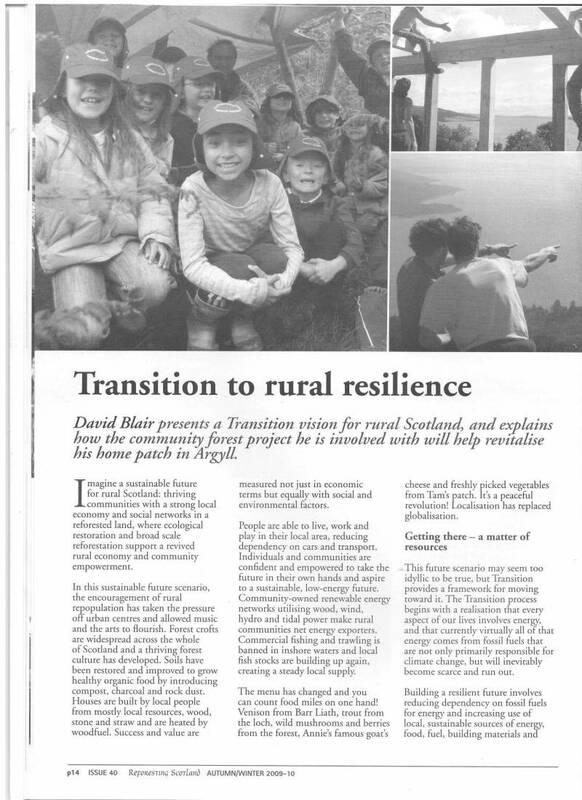 Here is the Reforesting Scotland response to the National Forest Land Scheme consultation. If you want to know more about Forest Croft Communities, please download this document. This is the document that defines the scope of the modelling process for Forest Croft Communities. Updated on the 13th July to reflect changes to the name from "Forest Croft Communities" to "Forest Villages".